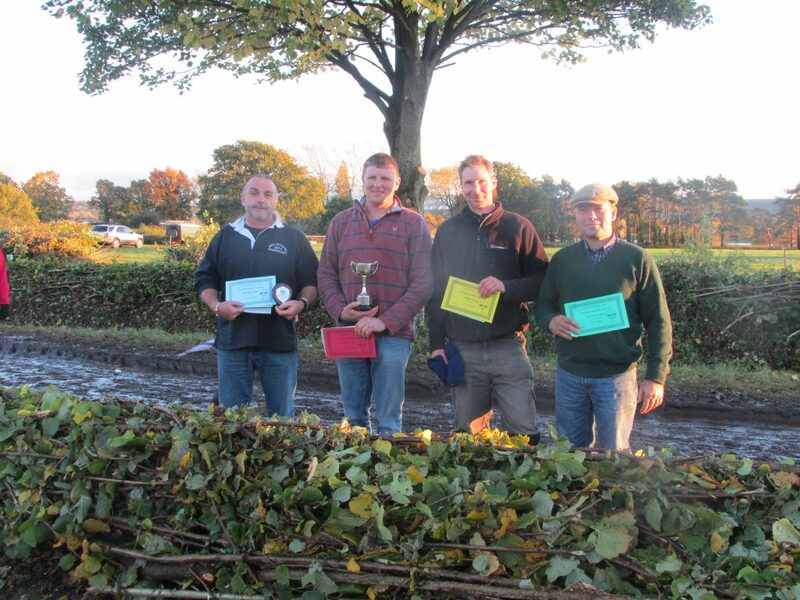 The 2015 National Hedgelaying Championship took place on 24th October and was hosted by Bristol Water at Chew Valley Lakes, Bristol – the European Green Capital for 2015. The Dorset class, now in its 3rd year, attracted 11 entrants and is going from strength to strength. This year the West Dorset Hedge layers who fought to get Dorset Style hedging recognised at the National were joined by hedge layers across the County and South Somerset. In all, there were 92 hedgers across all nine regional styles represented. The supreme champion accolade went to Paul Matthews laying in the South of England style. The Dorset Team would like to thank all our sponsors for their support – Mrs G Worth in memory of her late father Mr K Paul of Whitcombe and the Melplash Agricultural Society for supplying sweatshirts for the team. Thanks also to Highwood Agricultural and Ground Care Dorchester, Little Angus Butchers in Grimstone, Shoetrees of Dorchester and Pearce Seeds of Sherborne. Thanks also to the Dorset food producers who donated items for a Dorset raffle prize – Dorset Coffee, Clipper Tea, Moores Biscuits and Ford Farms Cheese. Full results and pictures can be seen at www.hedgelaying.org.uk. If you are interested in having a go at Hedgelaying, courses are being run over the winter. For further info please email info@dorset-hedgelayer.co.uk. Any hedgelayers who lay in the Dorset style who have won at local competitions interested in competing in the 2016 National competition, venue yet to be decided, please contact Russell Woodham at info@dorset-hedgelayer.co.uk. Sponsorship is also being sought for 2016, please initially contact Russell at the above email if you are interested in helping with this.